Yes, you can attach a BOB Trailer to a thru axle equipped bike for adventures, trailwork or commuting around town. The Robert Axle for BOB Trailers are specifically engineered to attach the proven BOB Trailer to a thru axle equipped bike. Machined & tested in the USA, the BOB Trailer axles are designed for maximum strength & ease of use. - Robert Axle for BOB Trailers allows use of the iconic BOB Trailer on 12mm thru-axle equipped bikes. - No special tools required. Installed or removed using standard hex keys found on your multi-tool. - Endorsed & approved by BOB Gear. 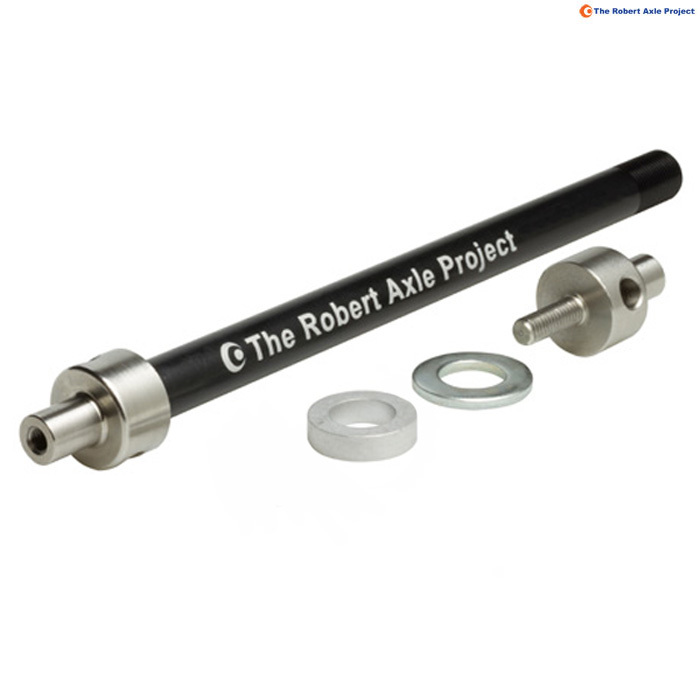 - Please note: This axle does not come with the BOB Trailer Bobbins. Those are available separately. Or they can be repurposed from the stock BOB Trailer Quick Release that came with your trailer. - Materials: 7075 Aluminum & hard anodized axle shaft with Stainless Steel axle ends. - Designed, built & quality tested in the USA. Proven on BOB adventures around the world. - The true length of this axle shaft is 180mm long. This axle comes with a 6mm flat spacer. So this axle can be 174 or 180mm long depending if the spacer is used. - This axle is compatible with Maxle 12x142 or 12x148 & other axles with the same dimensions.